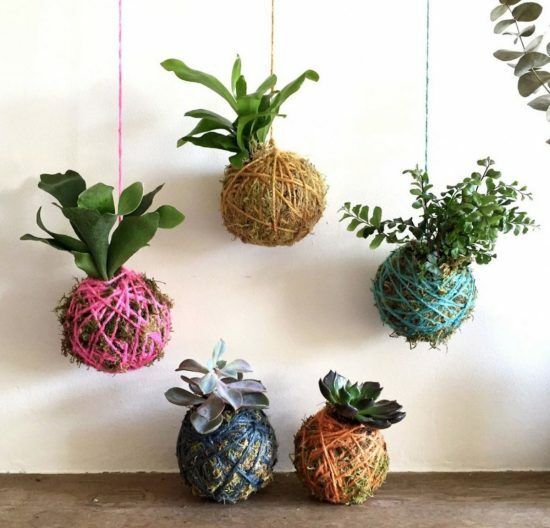 Learn how to make a Kokedama Balls StringGarden. They are very easy when you know how and we have lots of inspiration and a video tutorial to show you how. Have you discovered Kokedama Balls? It’s a unique Japanese potting technique that uses string and you hang them. They have taken the gardening world by storm and this easy diy is guaranteed to get your green thumbs itching. The best place to start when it comes to making Kokedama Balls is with a video. Better Homes and Garden show you a full tutorial on potting Kokedama Balls with moss. This infographic from Pro Flowers shows all the various steps involved to make you own Kokedama String Garden. This is such a great project for those that like ideas that are out of the box. They look a lot more difficult than they really are. As you can see, it’s quite a simple process. Kokedama Hanging Gardens are so popular that they have classes held all over the world to share how to make them at home. We found this cute arrangement on The Make Arcade in UK. These beauties are potless and are encased in a mud cake. 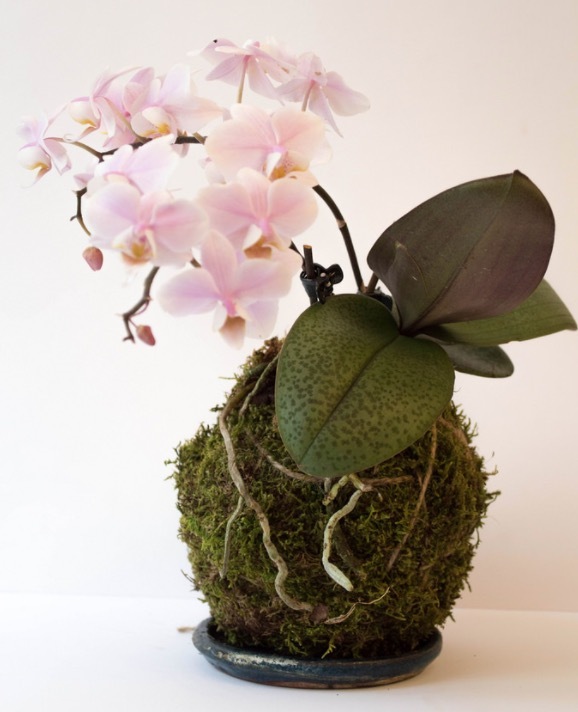 There are so many ways that you can display your Kokedama Plants and we guarantee that you are going to love the results. Here’s a beautiful example of how you can display your Kokedama Hanging Garden from Better Homes and Garden. We have included their video tutorial further up our post. We have also found some Kokedama Kits that are for sale on Etsy. You can purchase them and start creating immediately. They are inexpensive and get great reviews. Over on Etsy we found this version of the Kokedama Hanging Ball but this time in Fairy House version. Are they not the cutest? You can see more of them here.